Feeling the pinch this January? Your bank balance gone all topsy-turvy post-Christmas celebrations and gifting? Always a bit of a problem when it's your favourite aunt’s birthday or a dear friend’s anniversary right at the start of the year! Stuck for gift ideas? Here are few sustainable gift ideas to pull you through the first month of the year. Founded by twins Chris and Doug Akin, The Base Project, is an endeavour that supports artisans across the globe, producing locally-sourced, eco-fashion accessories at affordable prices. The Kavango bracelet above has a story to tell. Designed by Namibian artists, The Base Project bracelet collection is inspired by the country’s animals, landscape and rich Namibian history. Bangles and cuffs are designed to highlight tribal designs. These bracelets are often made with old pipes and other reusable materials. Beautiful earrings, handcrafted by Syrian refugees in Istanbul, Turkey. Each pair of earrings is unique in terms of creativity and design. They also depict a story told through the eyes of a person who has been through more than anyone should experience. The project is an attempt to create artistic expression through personal experiences. 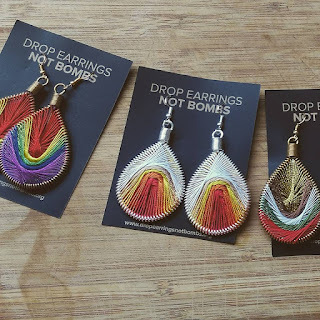 100% of the proceeds from the Drop Earrings Not Bombs project goes back into Small Projects Istanbul, where refugees are provided with access to supplemental education, as well as programs that assist students and families from Syria, succeed in Turkey and beyond, paving the way for better futures. 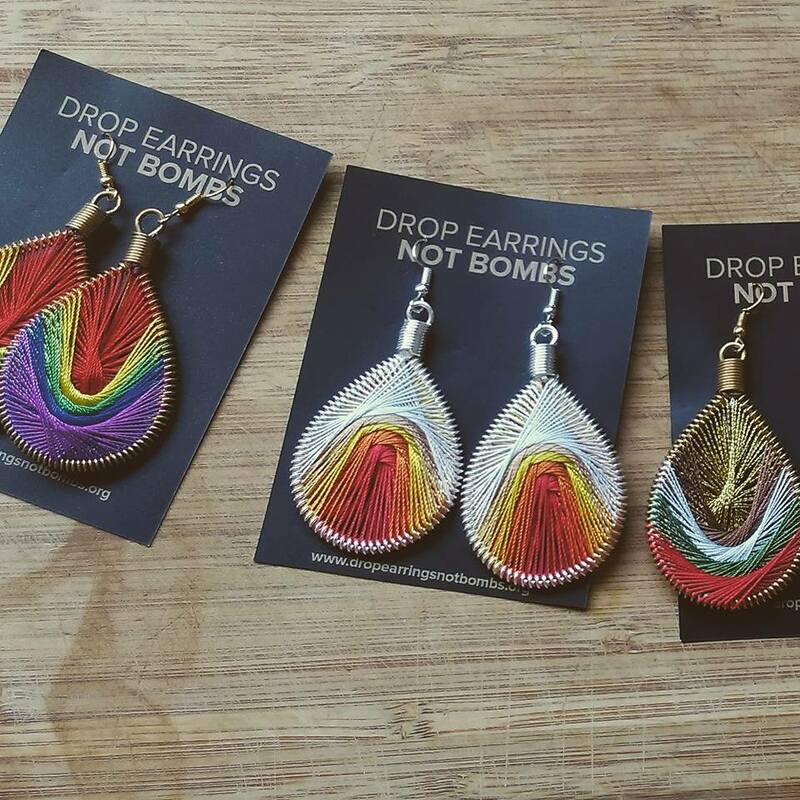 Support Syrian refugees and gift a beautiful pair of earrings by choosing your style here. Taking inspiration from love heart sweets, For The Love Of Vintage makes the sweetest little kitschy-chic jewellery and accessories using sustainably sourced wood. 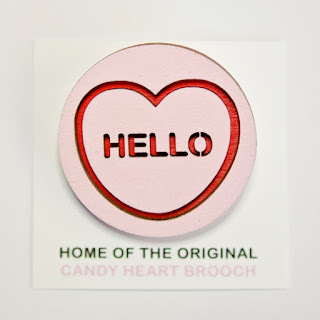 Candy heart brooch messages range from pop culture phrases, to cute little words that resonate with many. 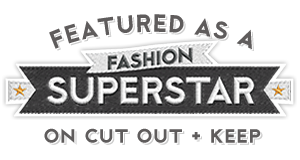 For The Love Of Vintage is a Mornington Peninsula (Victoria) based small business. The cherry wood used to make For The Love Of Vintage accessories comes from sustainably managed forests in the USA, and is part of a forestry initiative growing 2.29 trees for every one harvested. Buy your brooch here but also keep an eye on Facebook for updates. Gorgeous, recycled aluminium can tabs, handcrafted accessories by Brazilian artisians in a fair trade working environment. Cantabulos Creations, is an Australian small business, supporting the Escama Studio, a social enterprise in Brazil. Cantabulous Creations has a fantastic range of bags, clutches, belts, jewellery, guitar straps and other accessories too. Each design is unique and a sign of creativity. What’s more, each accessory bears a tag with the artisan’s signature, so you know exactly who made your bag. So you see, buying gifts for your loved ones in January need not cost you the earth, in more ways than one! 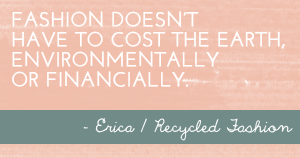 Do you have any more suggestions for sustainable gifts? Feel free to leave your suggestion in the comments below.